Community center and restaurant. Move in ready! 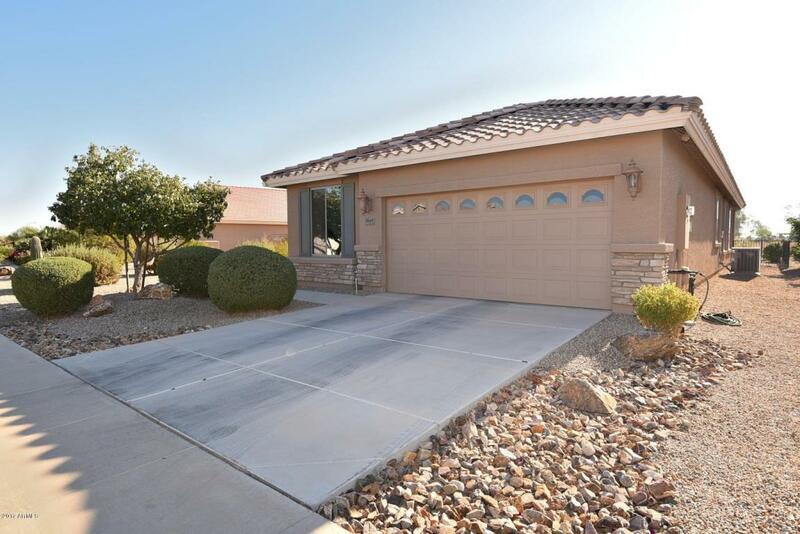 GOLF COURSE LOT, STAINLESS STEEL APPLIANCES, WASHER/DRYER included, the Interior has been freshly painted and a NEW A/C in 2014. Beautiful Italian tile floors, granite counter tops, pull out drawers in kitchen and even Golf Cart parking in garage! Enjoy watching the golfers pass by while your sitting out on your back patio. Just a short walk from the Located within the Adult Community of Mission Royale.